Home Entertainment News Music News Nexxlegacy Radio News Legends of R&B and Hip-Hop in Detroit This Weekend! 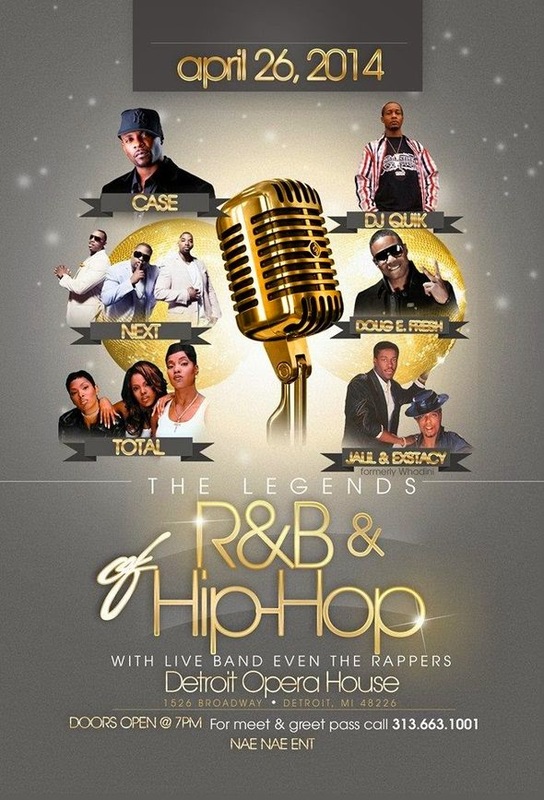 Legends of R&B and Hip-Hop in Detroit This Weekend! Case, Next, DJ Quick, Doug E. Fresh & More Saturday, April 26, 2014 in Detroit!